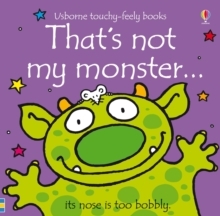 This is a fresh new edition of a classic title in the bestselling "That's not my..." series. Series awarded 'Best Buy' by the readers of "Prima Baby" magazine. This title combines bright, colourful illustrations with a variety of different textures to touch and feel on each page. It helps very young children develop important language and sensory skills.